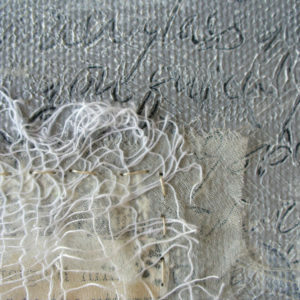 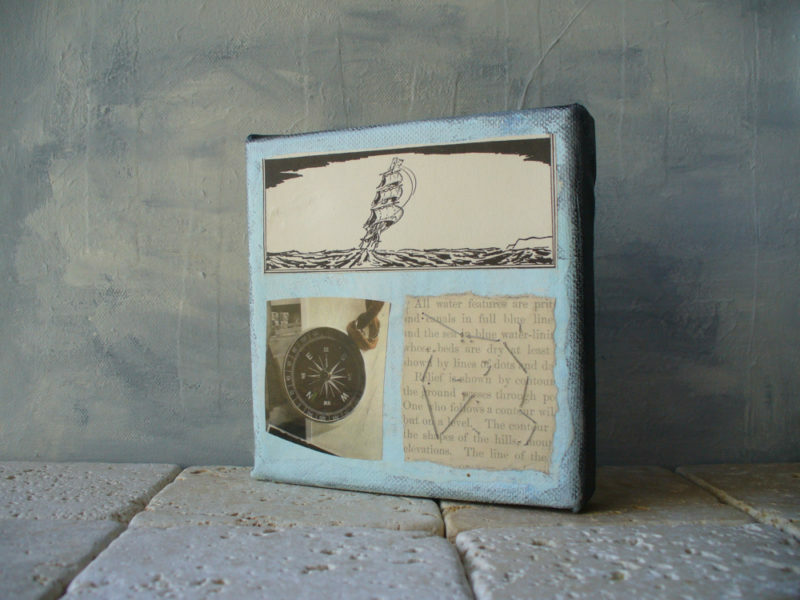 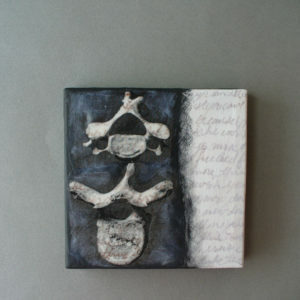 Navigation – a small mixed media collage just right for a shelf, a special nook or to add to your art collection! 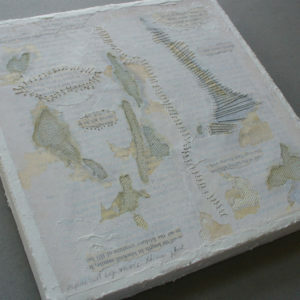 Inspired by the ocean, the stars and the things we use to navigate. 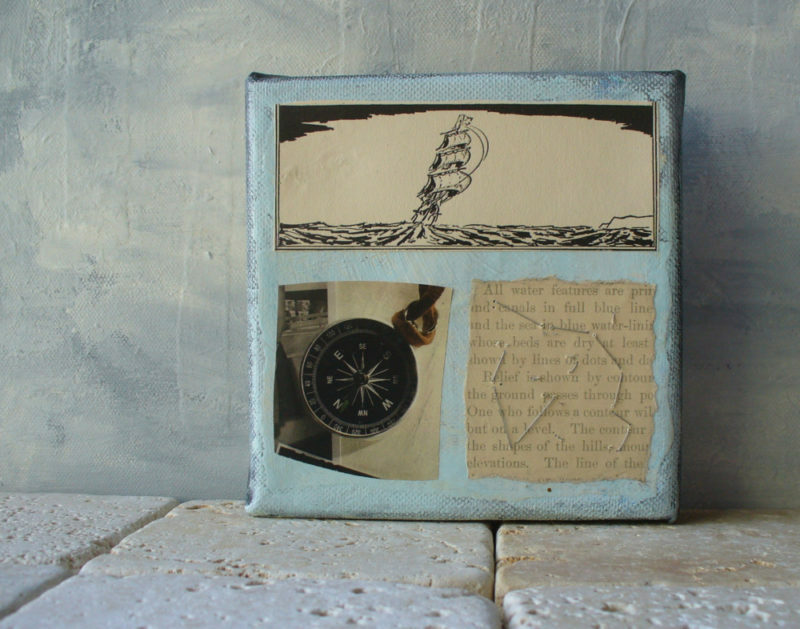 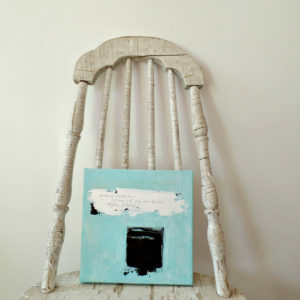 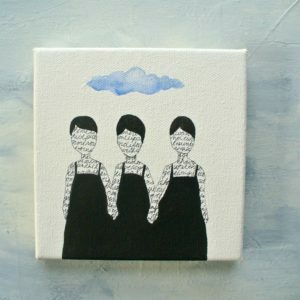 This square 5 x 5″ canvas is layered with black and sky blue paint with vintage book pages in this nautical themed mixed media collage. 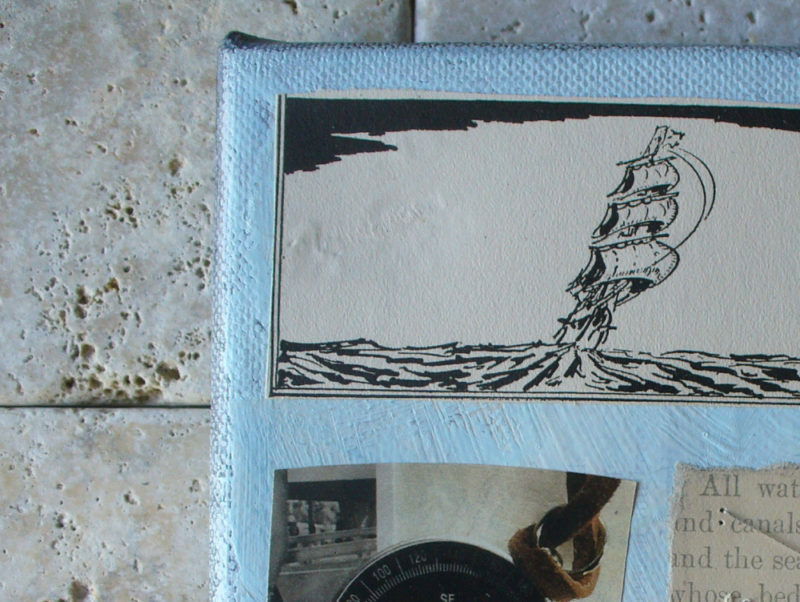 The tall ship image is an illustration from an old book on the history of America. 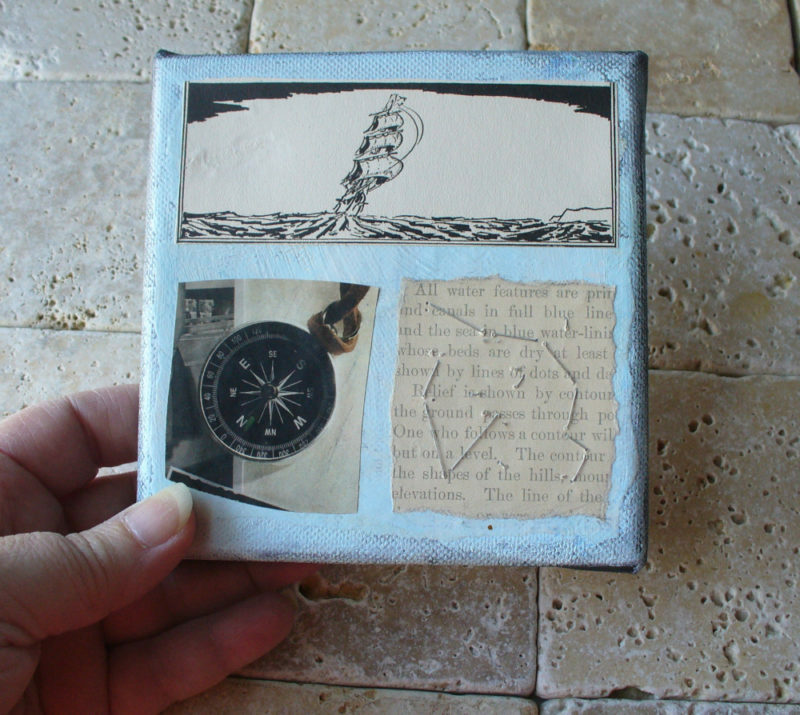 Underneath is an image of a compass and next to that is the key to a 1920’s topographical map. 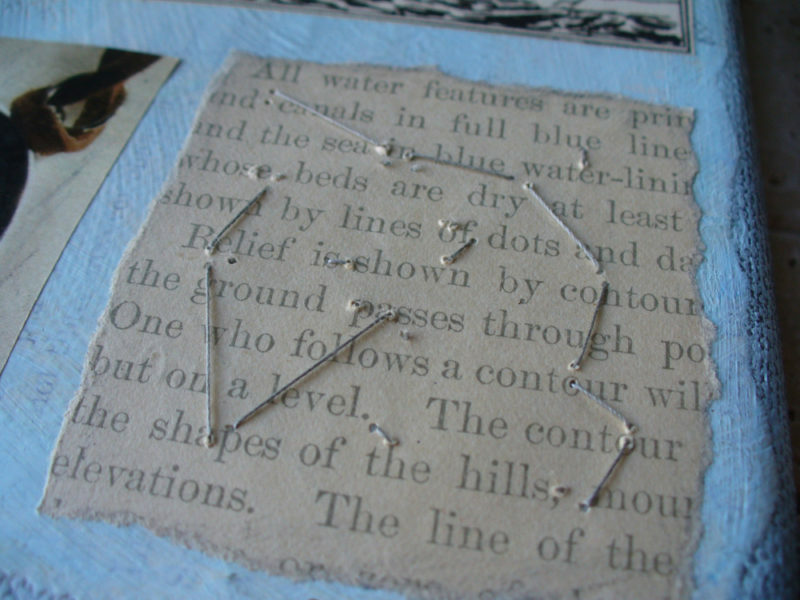 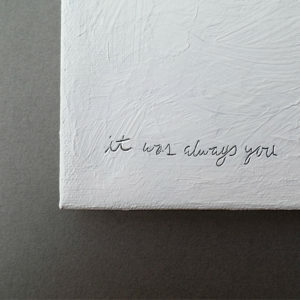 Vintage thread is used to hand stitch a random constellation of stars – all things we need to navigate. 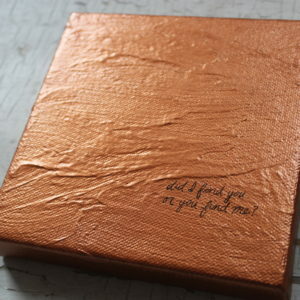 Love Note – Did I Find You or You Find Me?